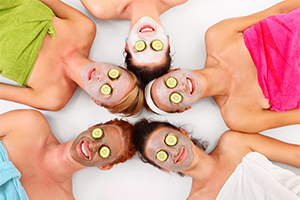 Honey Bunz™ Organic Day Spa has a wide variety of exceptional spa packages. Spa services included in our packages may be utilized in one or multiple visits to our Organic spa. Add these add ons to the purchase of any gift certificates. Fresh flowers and/or chocolate-covered strawberries will be waiting for her to enjoy when she arrives. The perfect gift for Mother’s Day, her birthday, Christmas, Valentine’s Day, or any day that calls for something extra sweet. 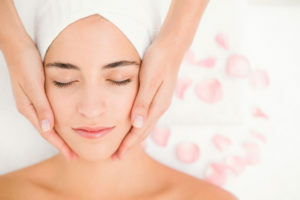 A customized, deep-cleansing facial treatment with relaxing neck massage. Also includes a Honey Bunz™ Manicure with hand paraffin and Honey Bunz™ Pedicure with foot paraffin. 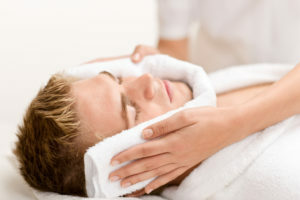 A customized, deep-cleansing facial treatment with relaxing neck massage. Also includes a Honey Bunz™ Spa Manicure and Honey Bunz™ Spa Pedicure. A Hot Chocolate Body Scrub, a customized deep cleansing Facial Treatment with relaxing neck massage, a Honey Bunz™ Spa Manicure and Honey Bunz™ Hot Stone Pedicure. We love to pamper our little ones, too! For ages 10 and younger. This double pedicure is a relaxing time to spend with your child or grandchild (age 10 or under). Both receiving a relaxing foot soak and total beautification of nails! Complete with Zoya non-toxic polish. Pamper your special princess with manicures and pedicures for her and her friends. Honey Bunz™ will close the salon for the birthday girl and her guests! You can bring in a birthday cake, cupcakes, pizza, beverages, balloons, and music to celebrate! We can also provide whatever else you would like for an additional fee. Add a A Lil Honey Bunz™ Facial for an additional fee of $20 per child. Add nail art for an additional $5 per child. We use Zoya Non-Toxic Nail polish, which is completely safe for children. Zoya Products DO NOT contain formaldehyde, toluene, camphor, or dibutyl phtalate. 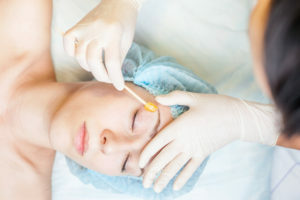 Services included in our packages may be utilized in multiple visits to the spa. Honey Bunz™ will close the Spa for you to have a private party! You can bring in beverages, food, desserts and music! Any other special requests? Just ask! Honey Bunz™ is always willing to accommodate you! Good things come in small packages! This party includes a manicure and pedicure. Add paraffin dip for hands + feet or a waxing treatment for an additional fee. Get ready for your wedding in style. Honey Bunz™ is happy to provide manicures and pedicures for everyone in your party – the Mother of the Bride, the Mother of the Groom, Flower Girls, Bridesmaids, and don’t forget the Bride! Honey Bunz™ will close the spa for your private event. You can bring in (alcoholic and non-alcoholic) beverages, food, desserts, and music! Relax and let us handle everything. Add a French Manicure, Nail Art, Gelish, or wax services for an additional fee.